The light of educating the girl child was ignited by Sant Maharaj Attar Singh Ji of Mastuana Sahib a century ago and with the same spirit my late father Sardar Gurbaksh Singh Sibia founded st the Akal Degree College on 1 July 1970. The Institute has added B.com classes for 60 students and M.Sc. (IT). An additional 30 students will be enrolled for the first time in July 2018. The Institute, which is an all girl's college and school focuses on all round development of our students who are a majority from the rural areas of Punjab. We instil a sense of discipline, believing in themselves, values and preparing them for the challenges and opportunities of life ahead. 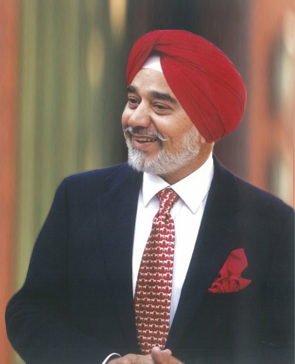 I take this opportunity to congratulate the Director Dr. HarjitKaur, Principal Dr. Sukhmeen Sidhu, and our Akal family of committed staff members who have been responsible for the thousands of students who have passed out from this premier Institute and have gone out in life to make a mark in Society. Thank you and god bless you all.